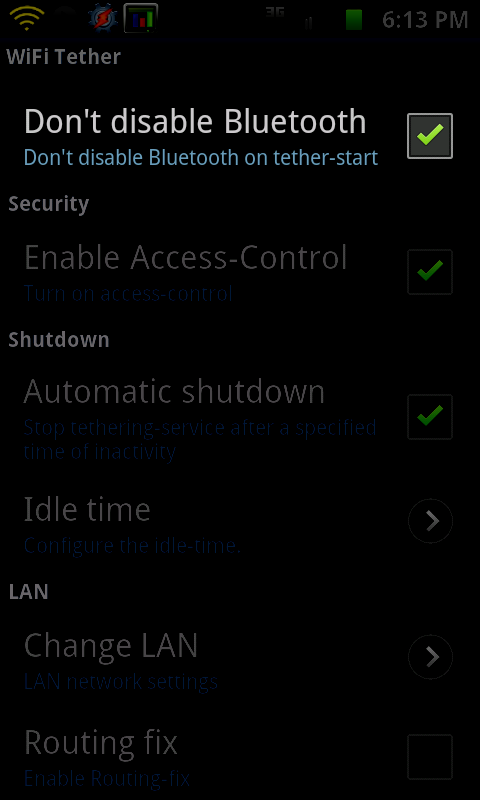 In the last couple of days, I've been closely interacting with Harald Mueller, the developer behind Android Wi-Fi Tether for root users, a free and open source tethering app for Android. 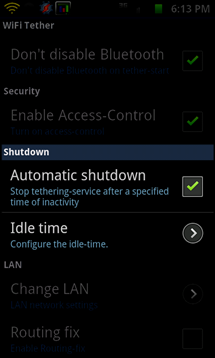 Android Wi-Fi Tether is pretty much a de-facto app when when it comes to tethering on Android devices that have native Wi-Fi tethering disabled (thanks, carriers), and is what I consider one of the most important apps in our supposedly open ecosystem. 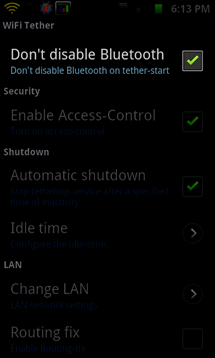 There is now a setting to turn off automatic disabling of Bluetooth every time the app starts. I started feeling the pain of this "feature" (which was originally implemented due to Bluetooth causing interference on certain devices) after getting a pair of A2DP Bluetooth earbuds (Sony HBH-IS800). As you can imagine, having my music cut out every time I turn on tethering (or even worse, when Android restarted the tethering service for whatever reason) started getting old really fast, but with Harald's fixes this is no longer a problem. 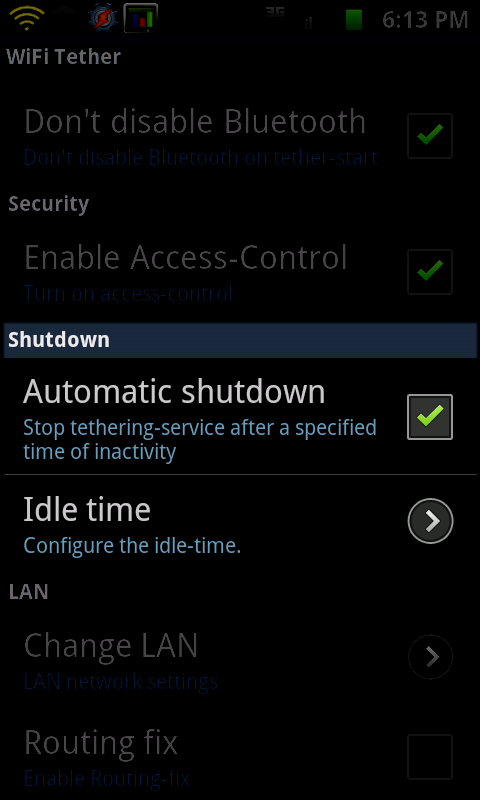 Another feature I've always wanted to see in Android Wi-Fi Tether is an automatic shutdown after a period of inactivity. 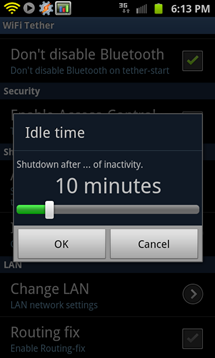 This accomplishes 2 things - it prevents battery drain due to a wakelock and continuous Wi-Fi broadcasting as well as allows the device to re-connect to a Wi-Fi network if one is available, thus saving quite a lot of juice. I oftentimes forget to turn off tethering after my morning commute and end up with a dead phone that hasn't been using office Wi-Fi by lunch time. 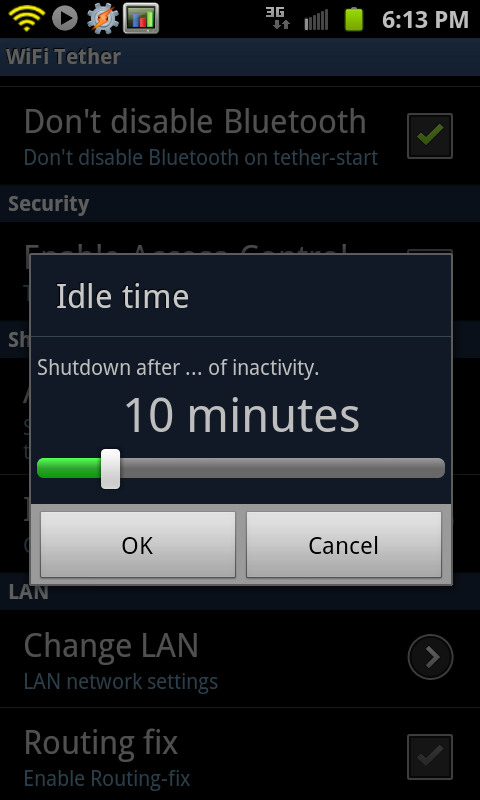 Infrastructure mode, unlike ad-hoc mode, allows multiple devices and devices that don't support ad-hoc mode to connect to the Wi-Fi access point spawned by the app, so it's definitely something we want. I've also asked about getting infrastructure mode on the Epic Touch 4G, which uses a newer Broadcom chipset, to which Harald replied "we will see." Fingers crossed here. Don't go looking for the latest beta in the Market - in addition to being blocked by U.S. carriers, the version you'll find there is quite out of date. Instead, head over to the download page and grab the APK from there directly. Be sure to download v3.1-pre105 or above, as that's the first version with the changes above. If you're using the app and find it useful, I highly encourage donating at least $5-10 to Harald who has been working on this open-source project on his own time for years. After talking to him and donating this week, I found out that donations to the project are quite scarce, especially considering the hundreds of thousands app users. In fact, my modest donation was more than Harald received all week.